Ask DN: How do you like to pick colours? What’s your favourite way to select and edit colours? Please assume the following examples all have a nice set of input fields, including a HEX field. Very useful. It has been in my bookmarks for awhile. Wow that's awesome! Great Job. That was you, huh? This thing's awesome. Thanks, man. Thanks! Glad it's useful. Let me know how it can be improved. Very nice. The large preview helps get a good feel for the colour before committing. Seems like most people prefer that method. That’s been the response so far on Twitter, anyway. Oh nice, I forgot swatches could get so fancy! I was thinking more like the default photoshop one with a bunch of colors nobody wants. Oh yeah, you have to nuke all the default colours and gradients and add your own. That’s an essential part of the Photoshop setup process. I've been using http://colourco.de/ lately and I love it. It's an easy way to build color schemes, get the colors in a variety of formats, and even lets you save schemes as Sass, Less, PNG and more. That’s pretty nice. Love the big preview of the different combinations. Third option. Usually Kuler, then I copy and paste hex codes. Choose a picture with a nice colour palette. Press "Save for web" and Select "Gif 32 Colours" Let's steal them on right hand. I like to pick a color using a color wheel like #4, but then I throw that onto colorhexa.com and see all similar colors and toy around with it for a while. Then I put it into practice. If I love it, I'll keep it, otherwise I keep toying. I like to use Kuler's color wheel, so I suppose a healthy mix of all 4! 3 is probably the best for me, even though HSB is okay as well. I generally use sites like ColourLovers or Design Seeds. 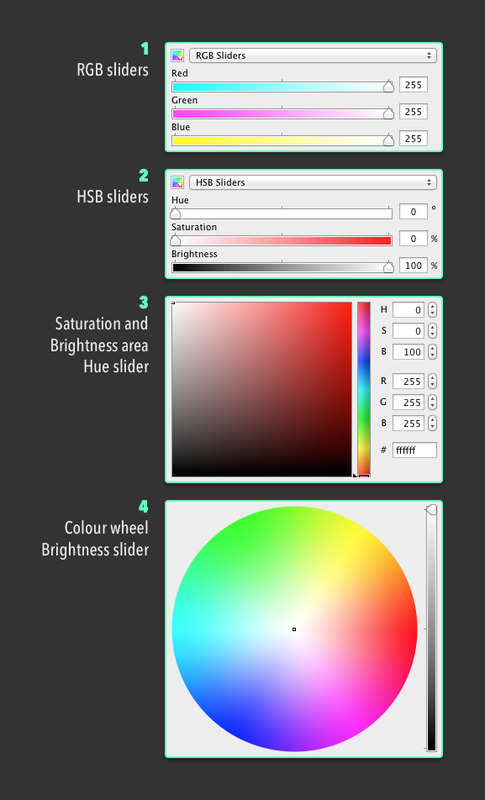 But Other than that, I prefer RGB to select colours, but HSB to change them (make brighter / darker versions and so on). A mixture of staging a couple of images that I have saved from inspiration and 3. 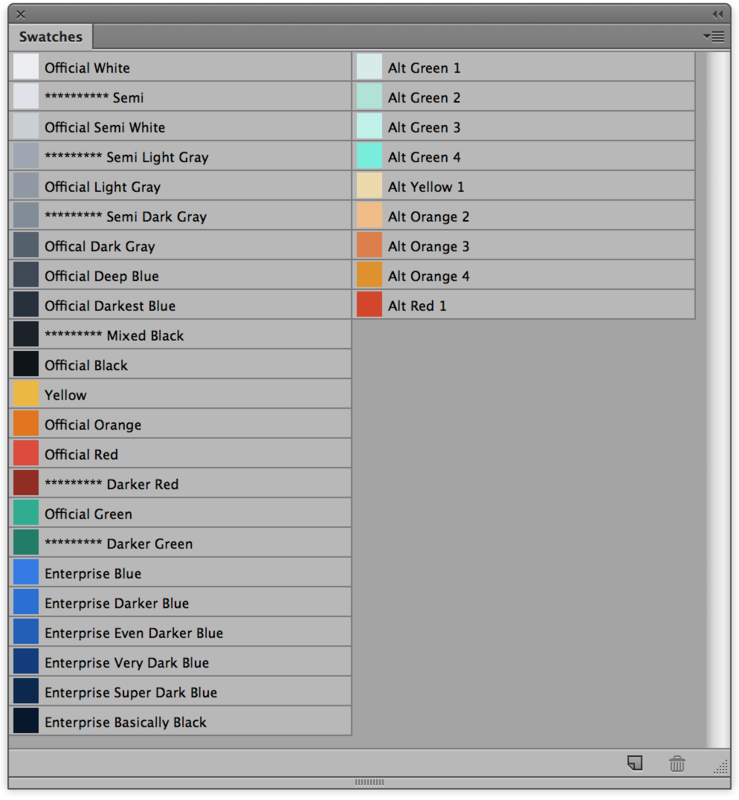 Would anyone mind breaking down the way they select color that makes their preferred option so appealing? Swatches obviously, but yes 3. also. I usually start with one colour and work my way through the hues to find matching colours to create a group of swatches. too. It's important to see the thing you change color of, direct manipulation. A combination of 3 and Colourlovers. Depends on what I'm doing, what I'm going for, but 3 most of the time. I'd be pretty annoyed if I couldn't switch between those methods though. Of the others, which have the most value? Seems like HSB and RGB cover most cases, provided you can get the info you need out (HEX etc). Yip, that's a fair assumption. RGB and then HSB second. Yup.